A concept prelim sketch for Kharnage Unleashed, a tshirt design w/ theme 'Kharnage: Vangaurd'. So far seems the one on the right will be the direction we go. Streamed on Twitch all afternoon! This is my current setup. I'm still a twitch / stream noob. But people seemed to really respond to this new setup. The noteable difference is the list of what im working on, and above it the new EWG 'mill worker' mascot and 3 options for people to buy 'on the spot' commissions. Was a good success. Its one of those things that will become more popular once more people know about them. So far I only got one from good ol DACOMMISSIONER (previously CDB) - but hoping to have more in the future. Might even toss chibis on there as an exclusive way to get them without waiting for specific 'chibi sales'. Alright, great day lots of drawing took place. Lots of randomocity and hilarity from my crazy commentary as I worked on mic/ cam. The vote is in for the 'live sketch request stream' preference, and it looks like wednesdays are winning out. I will here by officialy do a live sketch request stream next wedneday starting 8pmEST! 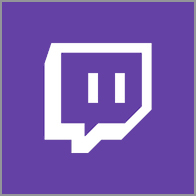 So hope to see folks out, same twitch channel same twitch.. stream? Goodnight! Pickup the comic work tomorrow. The mill will be on full tilt as the conveyers pump out flats and final colors on all remaining ungrounded pages which as of Tuesday have been fully inked.